and nightclubs in the UK, across Europe and Worldwide; also dance festival packages and breaks. The mother of all Dutch outdoor dance events, held each year in Spaarnwoude in the Netherlands. This pure dance-music festival has it's roots in trance, but presents a huge range of other styles. The site lists hotel packages, but this section is in Dutch so you'll need to use a translation tool. Party weekend packages in Montreal. Montreal Nitelife Travel organise group packages with accommodation, party planning, casinos, pub/bar tours, and VIP entry to the best restaurants, clubs, shopping and spas. A party/dance holiday in the sun at a luxury beach resort in the Dominican Republic in the Caribbean. Featuring beach and pool parties, casino nights, a pyjama party, comedy shows, fun and relaxation. A huge variety of themed holidays, short breaks and weekends at Pontins Holiday Parks in England and Wales. These include line dancing breaks, country music festivals and party weekends. A unique 1-week music, dance, ski and boarding festival with World-class DJ's, brilliant bands and great skiing! Snowbombing is sold a package, with festival entrance, accommodation and transport included; packages available for all pockets. Hotels strictly for people 16-35 years-of-age looking for an exciting beach and party holiday. Promising a fun party atmosphere, starting on the beaches and afterwards heading to the best clubs and bars. With 24 hr reception, late breakfasts, flexible dining times and special deals with clubs and bars. Clubbing holidays in top resorts like San Antonio, Ibiza, Magaluf, Santa Ponsa and Corfu. Promising sunshine, warm oceans, cool tunes and great nightlife where you can dance until dawn. The leading clubbing holiday company in Magaluf; holidays include an incredible hotel and the best events, including entry to the top nightclubs in the resort. Party and clubbing holidays and nightclub vacations; the trips and tours in this section feature parties and clubbing as a primary activity. 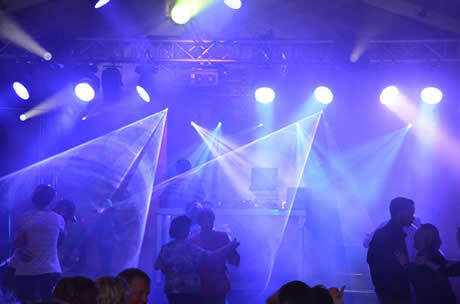 Listing organised party, dance club and nightclub holiday packages in the UK, across Europe and Worldwide; also listing dance festival packages and breaks. • Discounts on first drinks are often offered by bar touts who you'll run into on the street or the beaches. • If you're going early season look out for the opening parties, these gigs often have some top DJ's. • Some tour operators organise bar tours which are a good way to get to know a new place, these often include a first drink. • Pick up discounts where you can and you may be able to bring down the cost of an evening by moving from bar to bar. • Remember that in the US you'll need to be over 21 to get into bars and clubs. • In many US clubs you can 'jump the line' by paying more for front-of-the-queue tickets. • In Europe holiday reps often sell club tickets at a discount, but shop around before you buy as you may get even better deals from beach touts. The travel-quest party and clubbing section lists holidays and vactions centred on parties and bar and nightclub visits. See the definition at further up the page for more details.